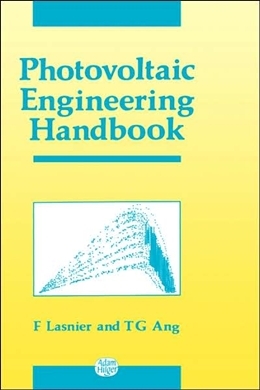 The Photovoltaic Engineering Handbook is the first book to look closely at the practical problems involved in evaluating and setting up a photovoltaic (PV) power system. The author´s comprehensive knowledge of the subject provides a wealth of theoretical and practical insight into the different procedures and decisions that designers need to make. Unique in its coverage, the book presents technical information in a concise and simple way to enable engineers from a wide range of backgrounds to initiate, assess, analyze, and design a PV system. It is beneficial for energy planners making decisions on the most appropriate system for specific needs, PV applications engineers, and anyone confronting the practical difficulties of setting up a PV power system.